The National Defense welcomes Tim Felks from Farmers Insurance to discuss his time in his time in the Air Force as well as Farmers Insurance Houston Rebuild Initiative. Randy Welcomes the Morgan Stanley Money Brief with Morgan Stanley advisor and retired infantry and armor officer Kurt Neddenriep where they discuss some of the particular issues military members need to consider during financial planning. Randy and Jerry then speak with the Deputy Executive Director of Paralyzed Veterans of ... Maggiori informazioni America, Shaun Castle, about the recent work being done by PVA with April being National Paralyzed Veterans of American Awareness Month. The guys wrap up the show with more info on how to take care of your eyesight in the VSP Vision Care Eye Insights. 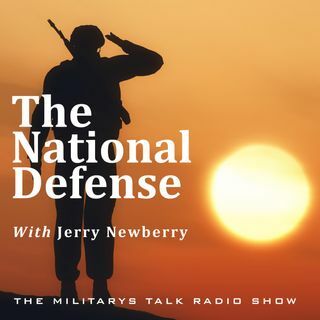 It's another great show this week on The National Defense.